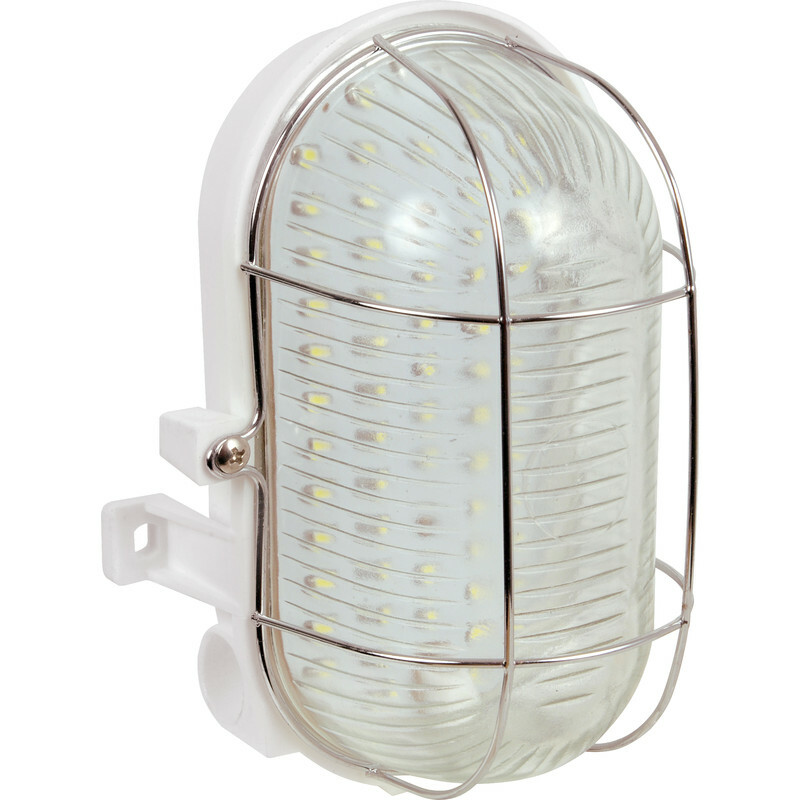 LED IP44 4W Oval Bulkhead 310lm is rated 4.0 out of 5 by 12. Rated 3 out of 5 by ShortcircuitEd from One failed...so far Installed 4 units about 18 months ago. Wire cages go rusty instantly. Light from them is pretty good though. One started blinking recently and a few of the LEDs in the array were dead. Replaced array (had to buy whole unit) but will use std bulkhead & std LED bulb (if one will fit) next time. Rated 5 out of 5 by Dark Angel from ****Bright Lights*** Wow, I can see so much in the basement with this replacement light. Cobwebs, dead spiders. Need to clean up now! Fantastic bright LED lights, definitely recommend.